Sign up by May 31, 2019 and receive a free virtual mailbox for three months. Our Membership Fee is only $50/month and treatment rooms are $9/hour. At Nexis Wellness, we strive to make running a successful practice as easy as possible. With access to our network of preferred partners ready to help with your EMR/EHR and practice management technology, billing, credentialing, marketing, legal, insurance and business strategy needs, we are here to support you each step of the way. We help by giving our Members the confidence they need to go it alone, but not feel alone. Nexis Wellness is a community of like-minded health and wellness professionals, including behavioral health, functional medicine and integrative medicine, who are empowered by working around others, but want the freedom of making their own practice decisions. Our Membership includes full-time and part-time providers; solo practices, small groups and agencies. We offer private offices, wellness rooms and group rooms to meet your needs. When you join the Nexis Wellness community, you receive access to all Membership benefits with a nominal monthly fee and available month-to-month Agreements. To get started it usually costs your first month’s Membership Fee and a security deposit. 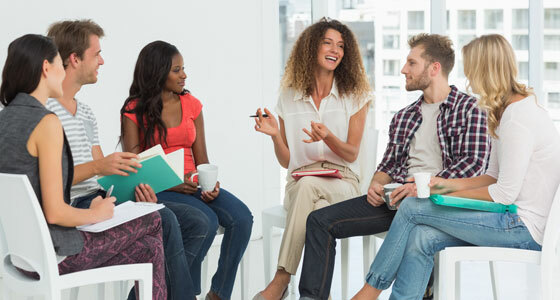 Your Membership with Nexis Wellness is based upon your usage of treatment and group rooms. You don’t pay for space you don’t use. Please feel free to download our New Member Brochure with more details or call us at 216.706.2603 any time with questions. We look forward to learning more about your practice and are here to help. Contact us today with questions, or to schedule a tour. Where do you want to see your clients/patients? April 9 from 6:30 p.m. to 8:30 p.m.